The majority of people answers $o.10 but the correct value is $0.5. 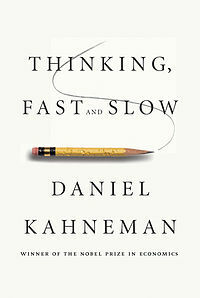 In “Think fast, think slow”, Daniel Khaneman, Nobel prize of economics, explains that our incorrect answer to this problem comes from System 1, a metaphor used to explain how our brain works. This “agent” responds to immediate queries and it is geared towards survival and solutions to problems. System 2, however, is the one that should be engaged in addressing tasks that require more analytical skills. In this case, the correct answer: $0.5 could only come from it. This and more practical examples of how our brain works, and how context influences our behaviour can be found on the above-mentioned book. This is a highly recommended read for strategists and all of us who attempt to advise brands how to connect with their customers better.